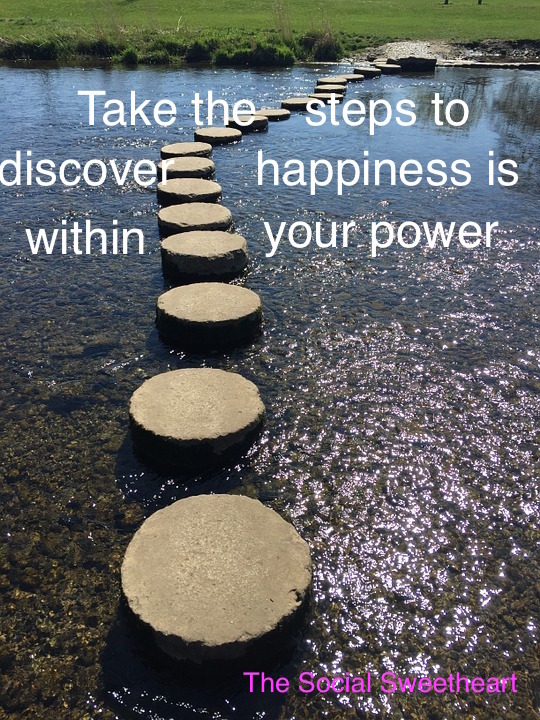 What does it take to find that happiness you are searching for? It’s a choice. Happiness is a state of mind, your mind. How we deal with our challenges can affect whether we feel happy or sad. In particular if you are a business owner searching for the answers to make you feel happy can hold you back from reaching the success you have been working towards. I always think of my bad days, my challenges, as a stepping stone to the next phase in my life. Obviously I am affected when my life is turned upside down by a challenge, but I turn my thoughts to the possibilities associated with aspects of the challenge. In my first book, A Life Like Mine I share my 6 Steps to dealing with life’s challenges. Step 2 – Accept The Visitor. Simply put this helps you think of the current challenge in your life as a short term one. You can discover all of my 6 Steps in my book A Life Like Mine, and there is an awesome bundle on sale which includes all 3 of my books: http://store.motivationalsteps.com/item/book-bundle. Your happiness is dependant on how you feel about yourself when met with uncertain situations. Can you can think positively about the next step you want to take? How can you turn your challenge into something that will create a great tomorrow? It is true if you think happy thoughts that will stimulate your inner senses to feel positive and you will feel able to cope. Negativity affects every part of our body, mind and spirit, we can’t allow ourselves to become a slave to all the negative moments in our lives, we do have the power to control the outcome. Always believe in yourself, and know that you can create the happiness you truly want. I am always excited to read your thoughts on my blog posts, please post your comments and we can get to know each other better.